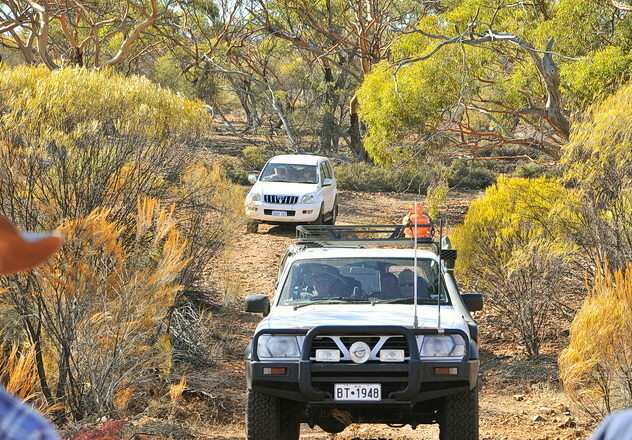 Mt Gibson Quartz Ridge campground provides a base from which to explore this remarkable sanctuary. It is a naturalist’s paradise, providing refuge for threatened plants, many birds and a diverse range of other wildlife. All proceeds from the Quartz Ridge campground will go back into the running of the campground and conservation of wildlife. 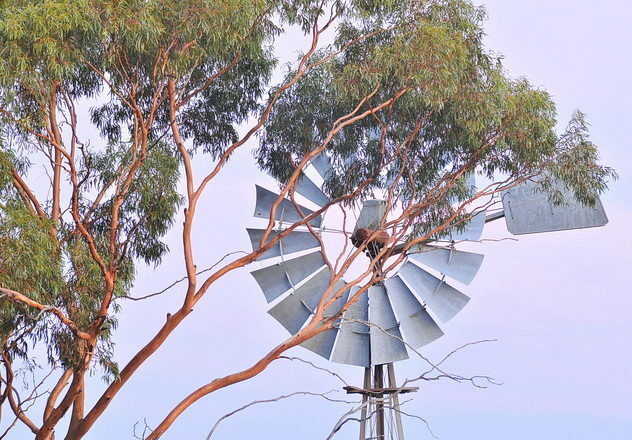 Located on the botanically rich boundary of the central wheatbelt and Murchison regions, Mt Gibson Wildlife Sanctuary covers more than 1,300 km2 of spectacular semi-arid woodland including salmon gum and gimlet straddling the west side of Lake Moore. 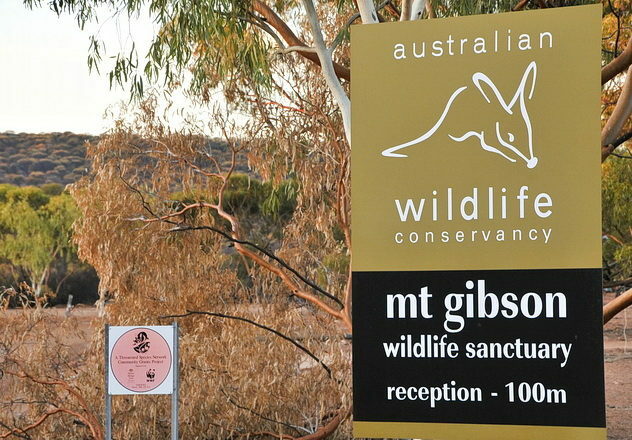 AWC offers a selection of self-guided drives and walks at Mt Gibson. For the nature loving traveller, this is a unique opportunity to experience one of Australia’s beautiful landscapes while also helping to save Australia’s endangered wildlife. 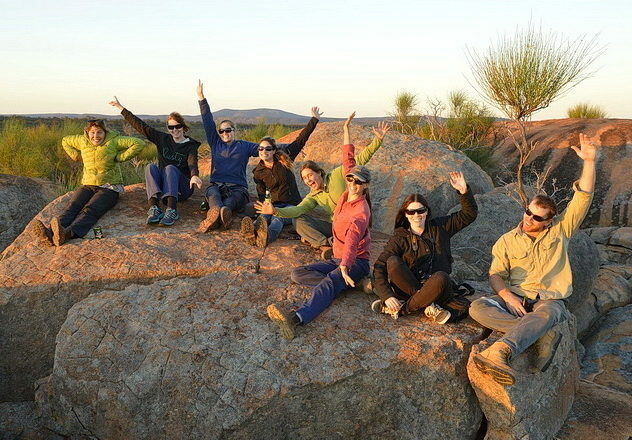 Mt Gibson Quartz Ridge Campground provides a basic base from which to explore the Sanctuary on a range of self-guided tours. Tour notes and a bird checklist are available when you sign in. One of the objectives of the Mt Gibson Endangered Wildlife Restoration Project is to promote public awareness of the plight of Australia’s wildlife and habitats. Currently there is no access to the feral predator proof exclosure whilst reintroductions are taking place and populations establishing. Self-guided tours include a drive to Mushroom Rocks on the banks of Lake Moore and walk through salmon gum woodlands to enjoy some birdwatching. 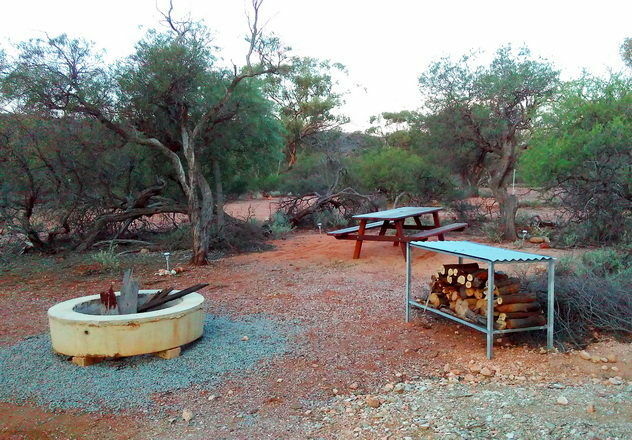 Mt Gibson Quartz Ridge campground is a basic camp site for self-sufficient nature lovers. Five unpowered caravan/campervan sites are available as well as tent sites. The campground is set on the side of a beautiful rocky ridge with views from the top to Lake Moore and across the sanctuary. Compost toilets and a simple covered camp kitchen area with barbeques is available with visitors asked to bring their own water and fuel and take their own waste. A central fire pit is available with wood provided for campfires. As our focus at Mt Gibson is on conservation, we have a maximum of 25 people or 8 vehicles in the campground at any one time, making bookings essential. Prices are payable by direct debit, credit card (VISA, Mastercard) or cash on arrival (we appreciate the correct amount as limited change will be available). The Quartz Ridge Campground at Mt Gibson is open from 13th April to 13th October 2019. Mt Gibson Quartz Ridge campground is open to visitors by booking between April and October, weather and road conditions permitting. The road is suitable for 4WD vehicles only. 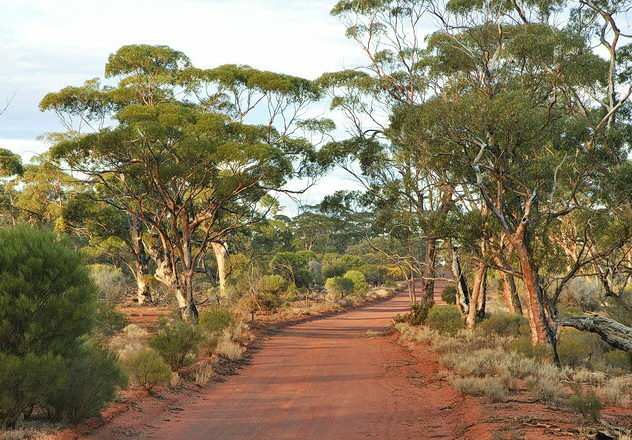 Please contact Mt Gibson Wildlife Sanctuary for up-to-date information on road conditions. Mt Gibson is located 367 km (5 hours) from Perth or 104 km (1.5 hours) from Wubin, travelling along the Great Northern Highway to the signposted turnoff 73km north of Wubin. A map to the campground will be provided on booking. Interesting in booking your visit to Mt Gibson Quartz Ridge?